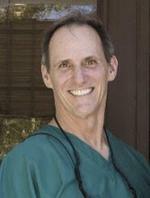 Dr. Mitchell graduated from Washington University School of Dentistry in 1982. He served as President of his dental class for two years, and was awarded the Otto W. Brandhorst Award for his outstanding leadership. He graduated in the top of his class. Dr. Mitchell was born and raised in Alameda, CA, and returned to his hometown to start his practice and his family. Rebecca earned the Sigma Phi Alpha honorary award upon graduating from Northwestern Dental School (Chicago) in 1978. She went on to earn a B.S. in Nutritional Science from U.C. Berkeley in 1985. Rebecca has worked in periodontal offices and in the public health sector. She joined Dr. Mitchell's team in 1988. 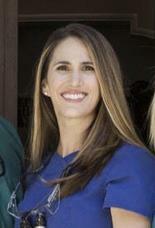 Rebecca is a member of Phi Beta Kappa and the American, California, and East Bay dental hygiene associations. Rebecca enjoys swimming, reading, volunteering, and spending time with her family. With his unique blend of artistic and technical skills, Dr. Mitchell has produced durable and aesthetic results for thousands of patients. As an established dentist who is dedicated to lifelong learning through frequent participation in continuing education courses, Dr. Mitchell has a firm grasp on the most innovative, minimally invasive new procedures available today. Dr. Mitchell is licensed by the Dental Board of California and is a member of the American Dental Association, Alameda County Dental Society, and California Dental Association. With a combination of state of the art dental technology, sensible treatment plans, and genuine devotion to the unique needs of each patient, Dr. Mitchell preserves oral health, alleviates oral discomfort, and improves the appearance of smiles. His commitment to staying on the cutting edge ensures that his patients always receive the latest, most effective treatments possible. Sarah has been in the dental field for 18 years, first as an RDA and now RDH. She loves spending time with her growing family and traveling in her spare time. Janine graduated Chabot College Dental Hygiene program in 2011. One of her favorite things is hearing how her dental hygiene recommendations have helped patients improve their oral health. Laughing with her patients runs a close second! She spends her free time with her teenage son, father and cat, Cocoa. She enjoys Classic movies and any kind of travel. One of her goals is to live in a Hispanic country, practicing dental hygiene, while becoming fluent in Spanish. Dr. Kent received her Doctor of Dental Surgery degree at the University of the Pacific School of Dentistry, graduating with high honors. She is a member of two highly prestigious honor societies, Tau Kappa Omega and Omicron Kappa Upsilon, which select students distinguished by excellence in scholarship, while demonstrating exemplary traits of character. Dr. Kent was born and raised in Alameda. She attended Bishop O'Dowd High School, and received her Bachelors of Science in Molecular, Cellular, and Developmental Biology at the University of California, Santa Barbara. Dr. Kent is committed to volunteerism and service, both locally and abroad. She has participated in programs providing free dentistry to the homeless of San Francisco, and has also traveled to Jamaica to provide compassionate, free dental care to the vastly underserved Jamaican communities. Currently, she is committed to volunteering at a Veteran’s Memorial clinic in Grass Valley, providing care to veterans and active military patients and their families. Dr. Kent is licensed by the Dental Board of California, and is a member of the American Dental Association, the California Dental Society, and the Alameda County Dental Society. In her free time, Dr. Kent enjoys hiking, yoga, surfing, and spending time with her husband, Brian.